WASHINGTON -- Two lucky Central Valley turkeys were at the White House on Wednesday for a special ceremony in the Rose Garden. The famous birds from Foster Farms in Modesto left for Washington, D.C on Monday from San Francisco International Airport. School children named the gobblers "Honest" and "Abe." Both birds are 18 weeks old and weigh in at about 42 pounds each. Honest has a red face and neck, while Abe's crown features more extensive blue splotches. 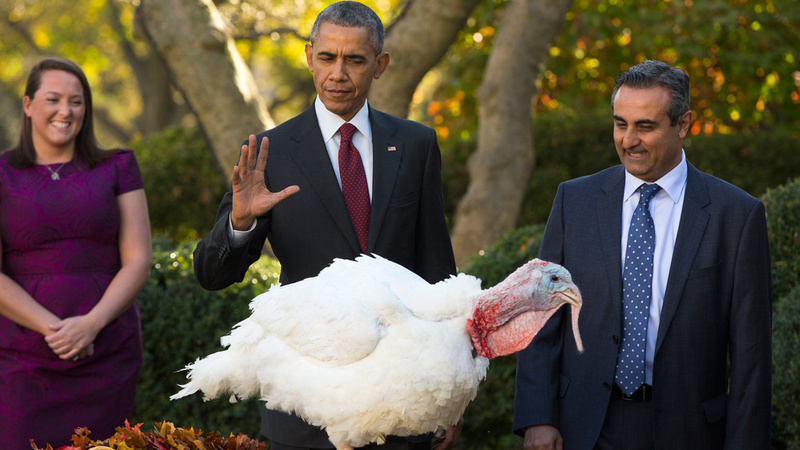 The turkeys received a pardon from President Obama. 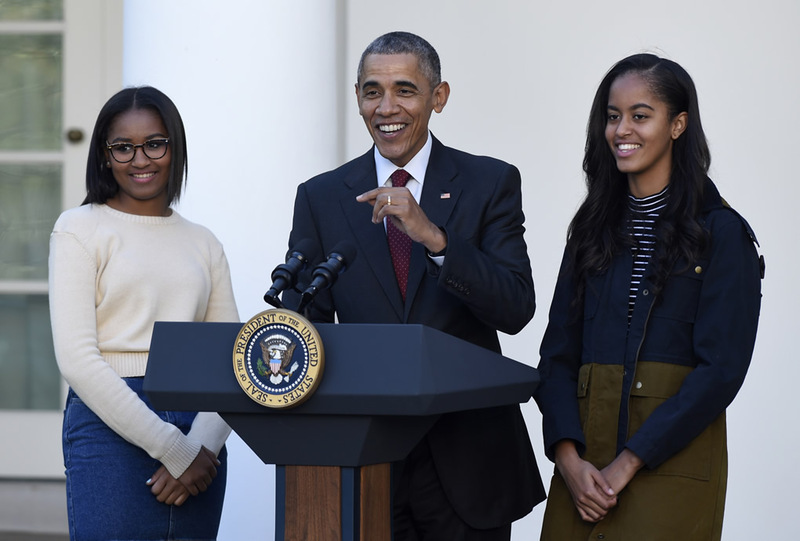 "It is hard to believe this is my seventh year pardoning a turkey," said the president. "Time flies, even though turkeys don't. That was good, I thought it was pretty good." Both birds will live out their golden years at a Virginia farm. The Thanksgiving turkey pardon tradition actually began back in 1987 with President Reagan. Social media is buzzing over the event. 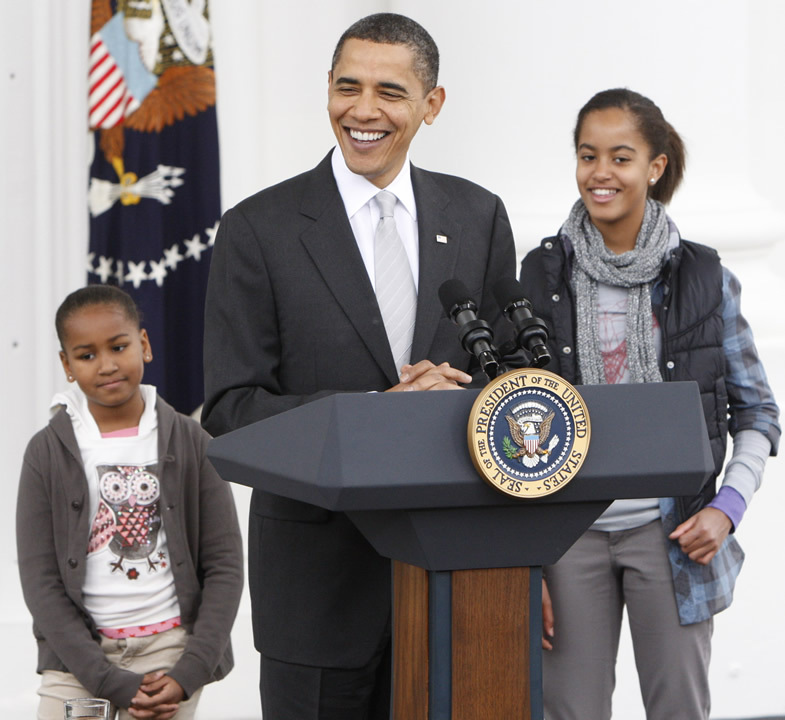 But not about Honest and Abe, about how grownup Sasha and Malia Obama look! Here's a photo from them at the turkey pardoning in 2009. And here's a photo of them from the one Wednesday.